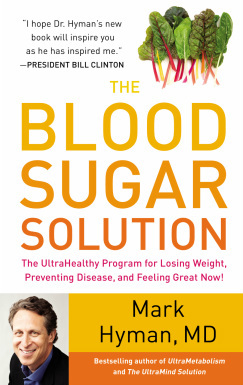 In his book, The Blood Sugar Solution, published in 2012, Dr Hyman lists a comprehensive 8-week plan for overcoming diabesity in all its forms. He writes from a US perspective but the general information is appropriate for anyone tackling this growing problem. 1/ Get the right tests. Most doctors focus on fasting blood sugar. This is actually a poor indicator of diabesity. The best test to tease out the condition is an insulin response test where insulin levels are measured fasting and then 1 and 2 hours after a glucose drink. Demand this test from your doctor. 2/ Get smart about nutrition. Despite the media hype and the seeming confusion amongst doctors, the basics of nutrition are extremely simply. Eliminate sugar and processed carbohydrates, include whole real foods like lean protein (chicken or fish), veggies, nuts, seeds, beans, and whole grains. 3/ Get the right supplements. There has recently been a frenzy of negative reports about supplements. Most of them are unfounded. Supplements are an essential part of treating diabesity. A good multivitamin, vitamin D, fish oil, and special blood sugar balancing nutrients like alpha lipoic acid, chromium polynicotinate, biotin, cinnamon, green tea catechins, and glucomannan should also be included. 4/ Get relaxed. Stress is a major unrecognized contributor to insulin resistance and blood sugar imbalance. Push your pause button every day with deep breathing, visualization, yoga, and other relaxation techniques. 5/ Get moving. Aside from changing your diet, exercise is probably the single best medication for diabesity. Walk at least 30 minutes every day. For some, 30-60 minutes of more vigorous aerobic exercise 4-6 times a week may be necessary. 6/ Get clean and green. Environmental toxins also contribute to diabesity. Filter your water, look for green cleaning products, and avoid plastics when you can. 7/ Get personal. While the steps above will address 80 percent of the problems with diabesity, some may need to take additional steps to optimize key areas of their biology. Remember, the medicine of the future is personal medicine. Seek out your own biological imbalances and look for ways to address them. 8/ Get connected. Research is beginning to show that we get better more effectively when we get together. Invite your friends, families, and neighbors to change their diets and lifestyle along with you. Together we can all take back our health. Diabesity is a word coined to group together the continuum of metabolic disturbances from mild blood sugar and insulin imbalances to pre-diabetes through to full blown type 2 diabetes. It occurs in 80% of obese people, yet also about 40% of people with normal weight – these are the skinny fat people who look thin but are metabolically fat and have all the same risk factors for disease and death as those who are overweight. Another American doctor who has written extensively on the subject is Chris Kresser. More from Dr Hyman: Fat does not make you fat, and his new book 'Eat Fat Get Thin' (2016). 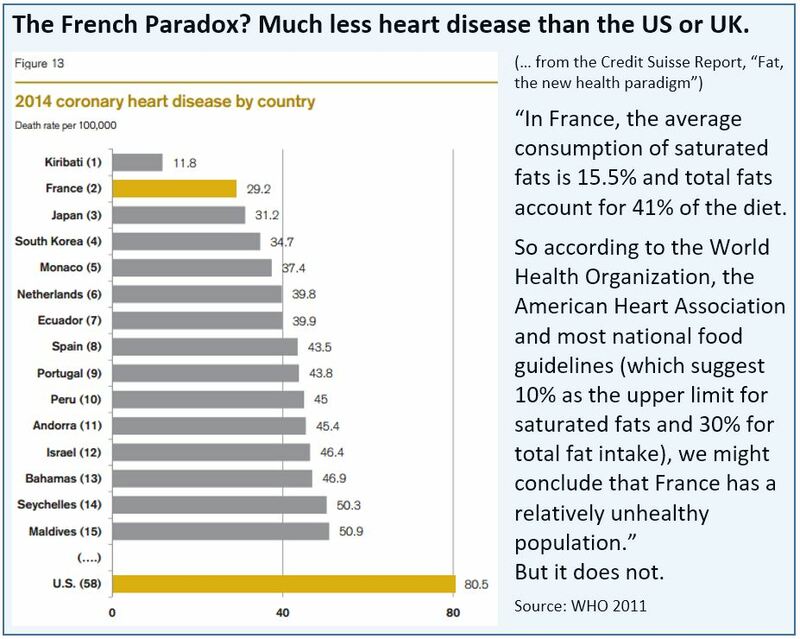 Although most of the early research which linked high fat consumption to cholesterol and then heart disease was circumstantial, the so-called French paradox shows otherwise. The question is; what is going to influence your personal decision more strongly? The US based statistical correlations, based on food recall questionnaires or the real-life implications found in a country like France?